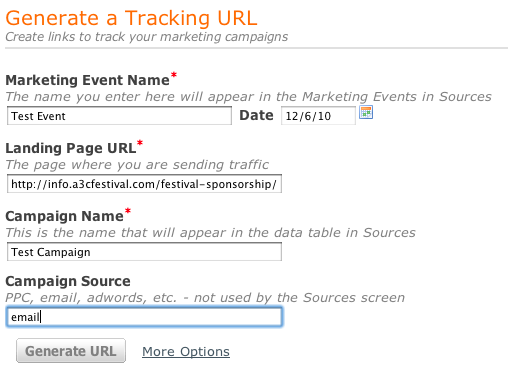 A tracking URL is just a normal page URL from your website with what's called a tracking token added to the end of it. Below, I've posted an example landing page URL by itself and with a tracking token. As you can see, the page URL is the same in both cases, but in the second case, there's some extra stuff added to the end. This extra stuff is your tracking token . The simple answer is, because you'd want to track something. If you're running a PPC campaign, sending an email, or putting an advertisement on another website, tracking URLs are essential for calculating the number of visits, leads and customers you've generated from your hard work. The example below is a screenshot from HubSpot's sources report. Each "campaign" represents a separate tracking URL that we've created for different PPC campaigns. Because we've taken the extra time to create and use tracking URLs, we're able to tracking the exact number of visits, leads and even customers that each campaign has generated. Once you create a landing page around an offer (download our free white paper, etc), You'll want to create a tracking URL. 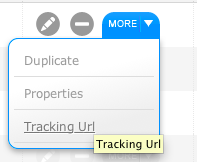 If you're a HubSpot customer, you can use HubSpots tracking URL builder to create your tracking token. Otherwise, you can use Google's free URL builder . Here's the important part. Once you create your landing page and your tracking URL, you'll need to actually use your tracking URL in your campaign. If you're running an email marketing campaign , you'll want to use your new tracking URL in your links, behind your calls-to-action . If you have a call-to-action in your email like, " Download Our Free White Paper ," you'll want to make sure you use your tracking URL as your hyperlink. In this example I'm using " http://www.yourwebsite.com/your-landing-page/?utm_campaign=test-campaign&utm_source=email ." If you're running a PPC campaign , you'll want to make sure to use your tracking URL in the " Destination URL " (see the example from Google AdWords below). Here's the good part. Now that you've done the hard work of creating a landing page and a Tracking URL for that landing page, you can check your analytics platform for visits from that specific URL. If you're using HubSpot's marketing analytics , the system will sort Tracking URLs based on source and automatically track visitor, lead and customer conversions. If you're using another system, like Google Analytics , you can track campaign visits by going to "Traffic Sources" >> "Campaigns." Those are the basics. For those of you out there who are already using tracking URLs, please feel free to share your experience and best practices below.